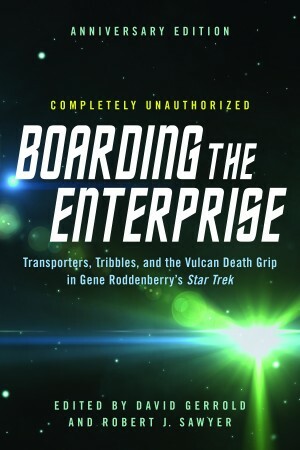 With a new introduction from David Gerrold and afterword from Robert Sawyer for Star Trek: The Original Series' 50th anniversary. Trekkies and Trekkers alike will get starry-eyed over this eclectic mix of essays on the groundbreaking original Star Trek, one of the most culturally impactful science fiction series of the last 50 years. Star Trek writers D. C. Fontana and David Gerrold, science fiction authors such as Howard Weinstein, and various academics share behind-the-scenes anecdotes, discuss the show’s enduring appeal and influence, and examine some of the classic features of the show, including Spock’s irrationality, Scotty’s pessimism, and the lack of seatbelts on the Enterprise. The impact of the cultural phenomenon on subsequent science-fiction television programs is explored, as well as how the show laid the foundation for the science fiction genre to break into the television medium.